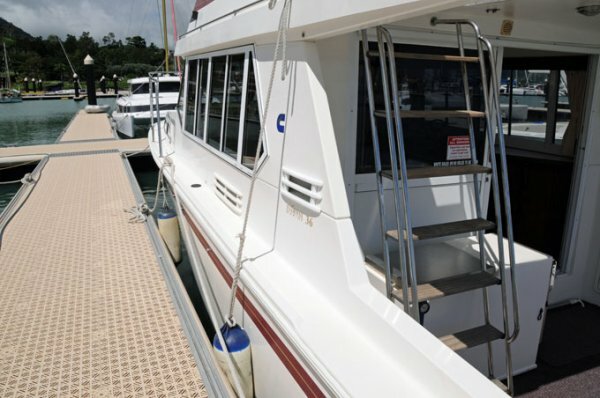 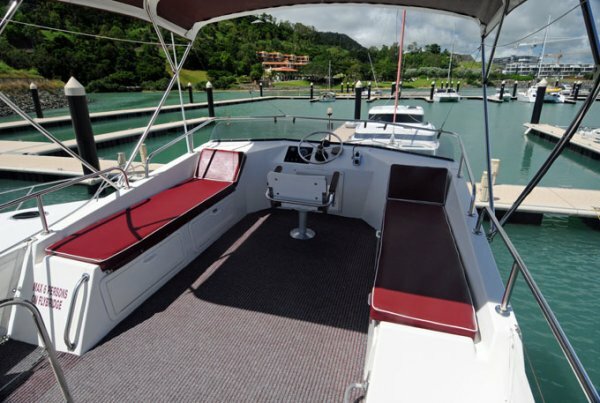 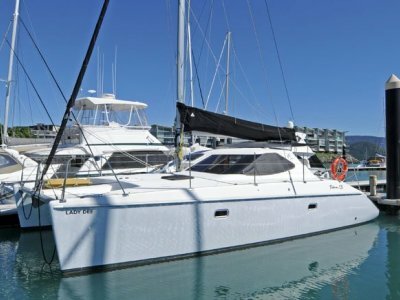 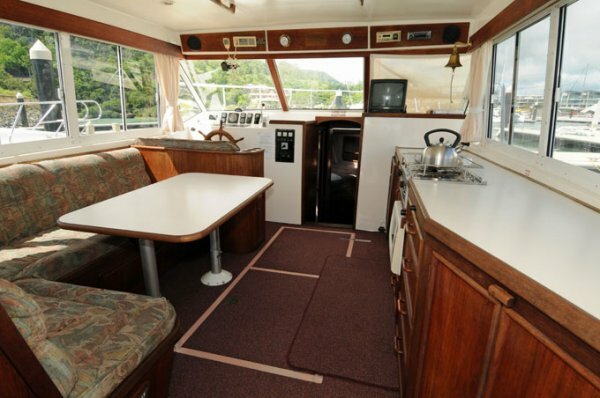 This twin helm one owner Fairway 36 Flybridge Cruiser has been well maintained by her owners who continue to use the vessel for Whitsunday island hoping weekends away. 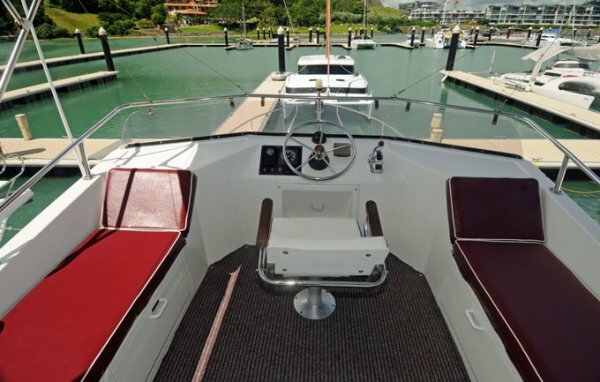 The Fairway 36 has always been a popular choice due the large spaces provided by her design, and due to its economical friendly operating costs. 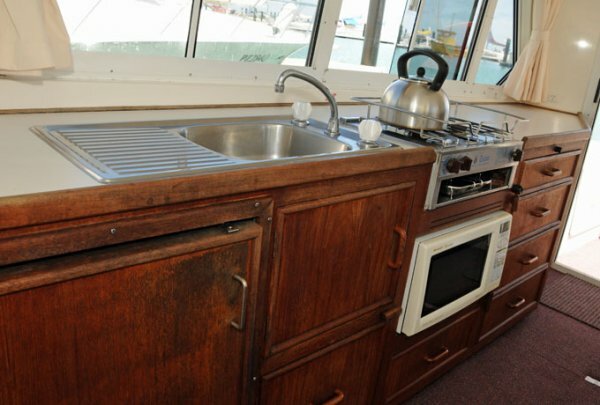 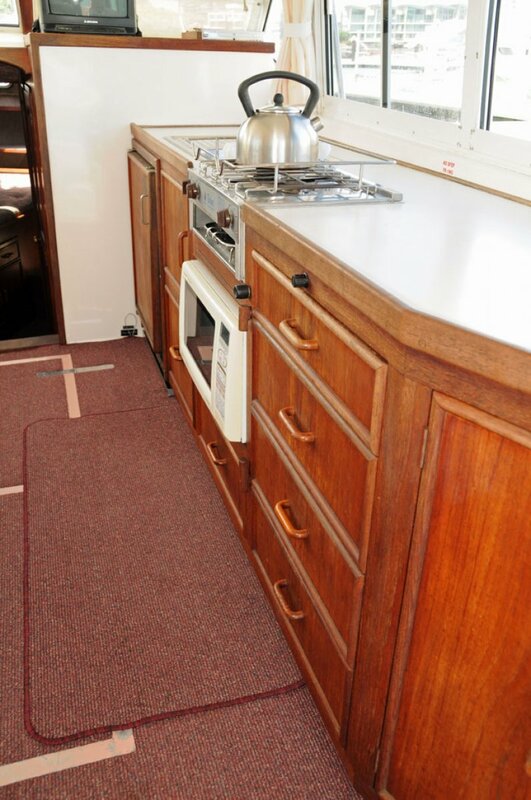 The vessel provides, a good sized fully equipped galley with gas cooking, a saloon area with direct access to the large rear cockpit. 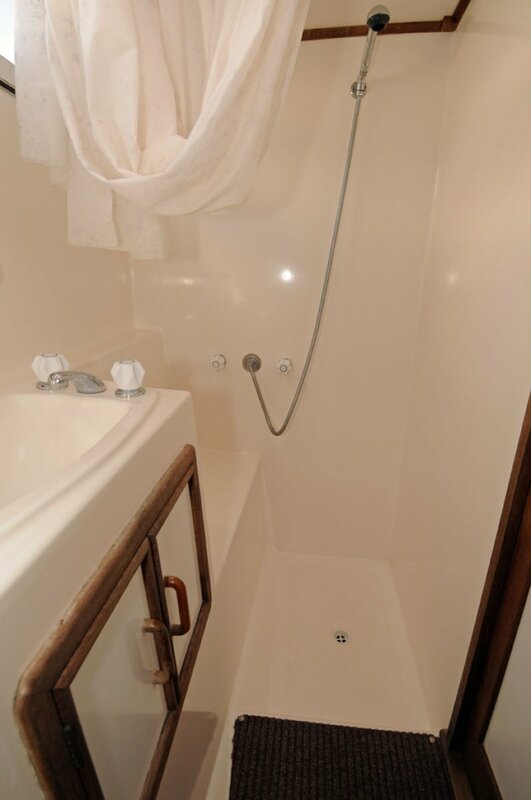 Downstairs you will find two cabins and a toilet and separate shower. 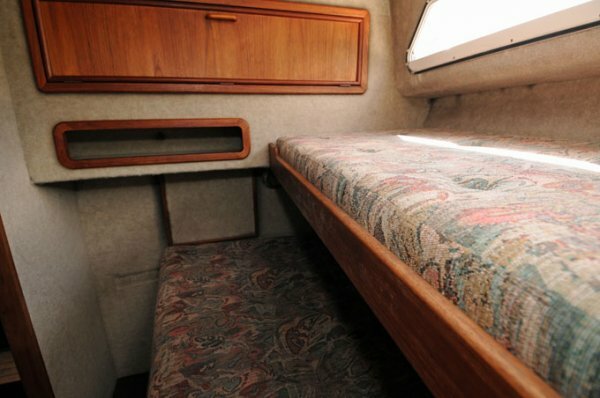 The vessel sleeps seven. 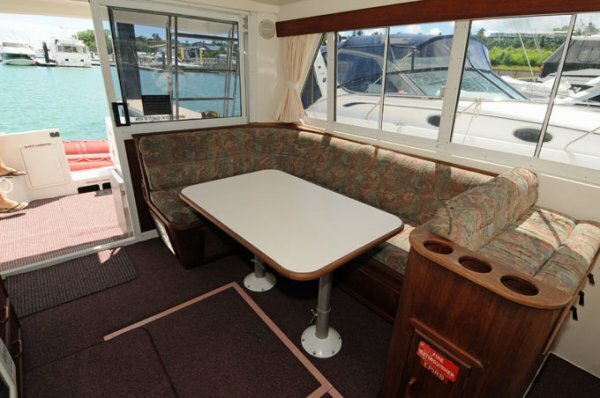 The covered Flybridge is large, is equipped with a BBQ, and provides two lounge beds and seating. 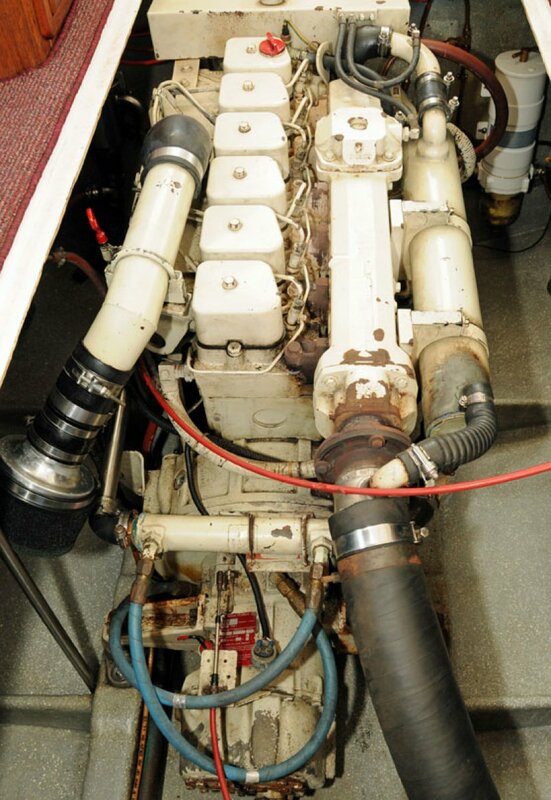 The Cummins engine has been well maintained and continues to operate trouble free. 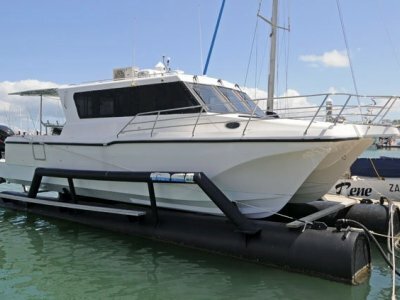 There is a depth sounder fitted, and plenty of options for you to add a modern Plotter. 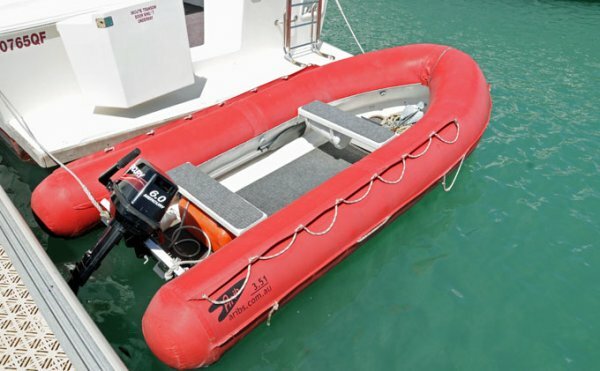 The vessel also comes with a commercial grade tender and outboard. 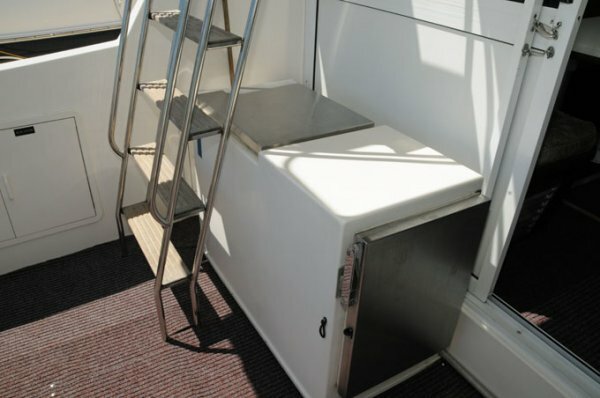 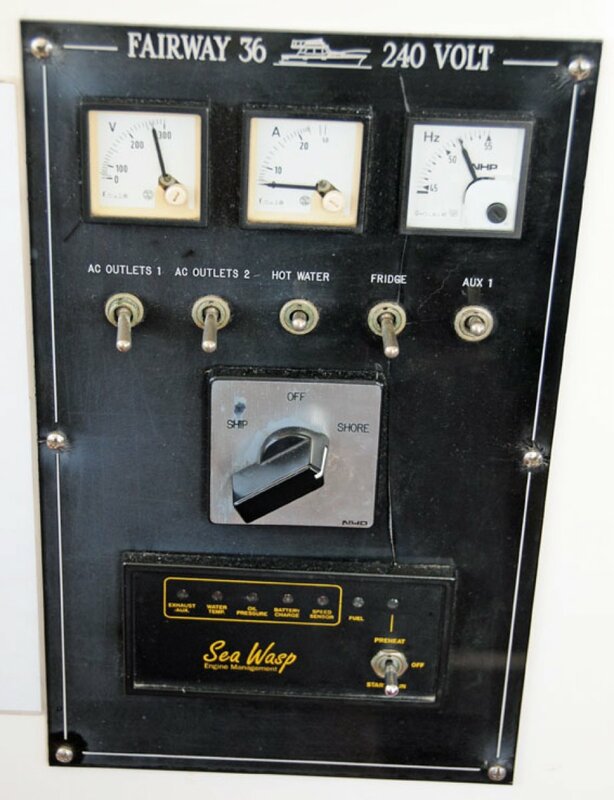 There is also an 8kva generator fitted. 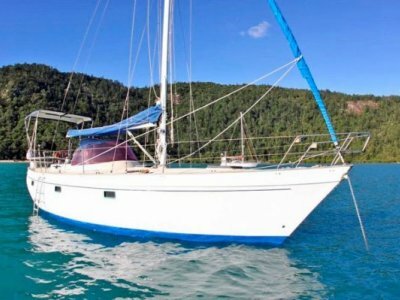 The owners originally operated the vessel as a Bareboat, but over recent years have only used her privately. 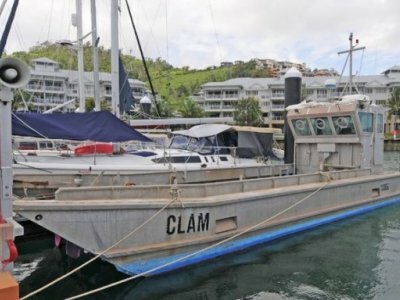 They have however retained her commercial registration. 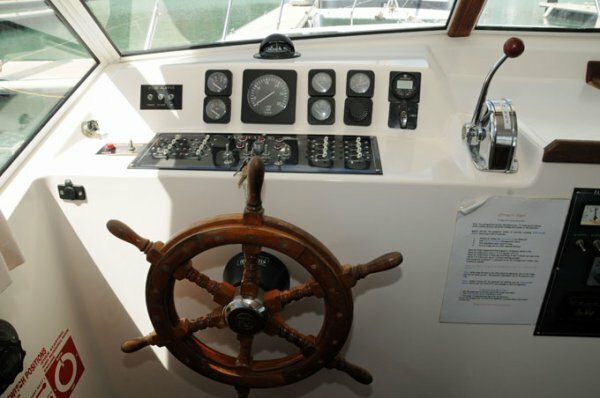 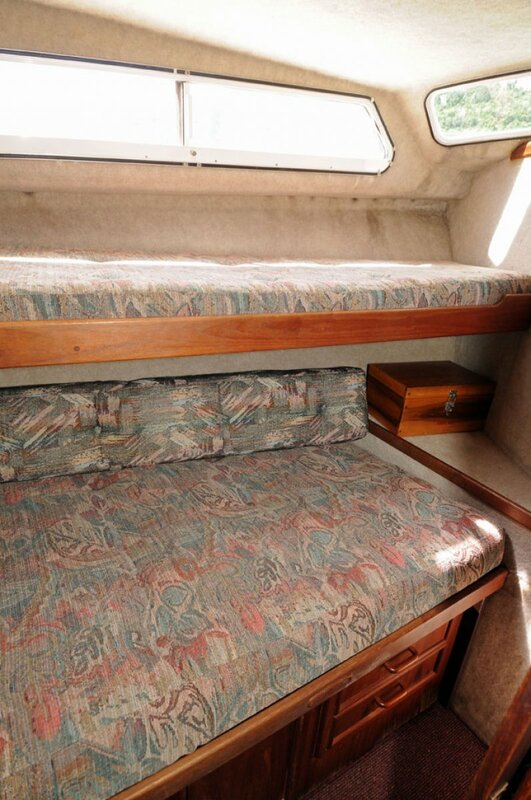 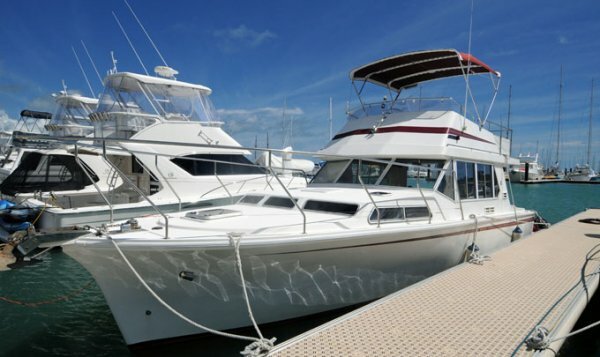 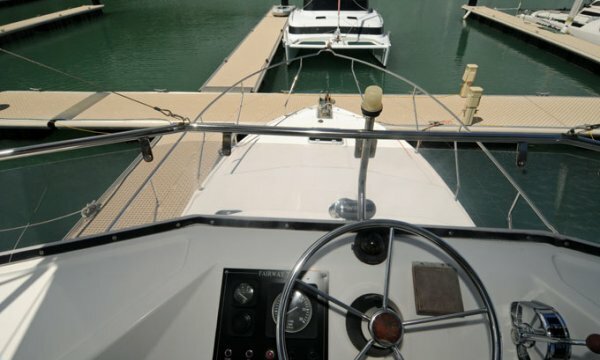 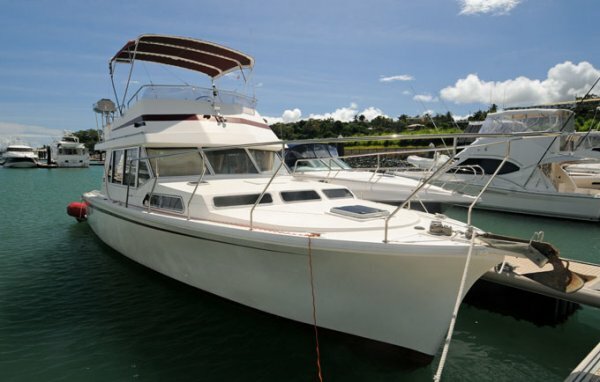 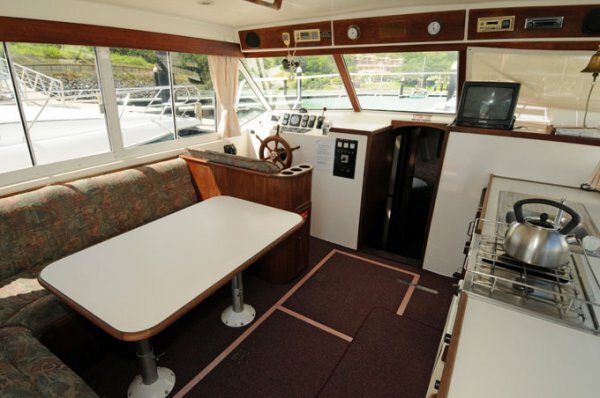 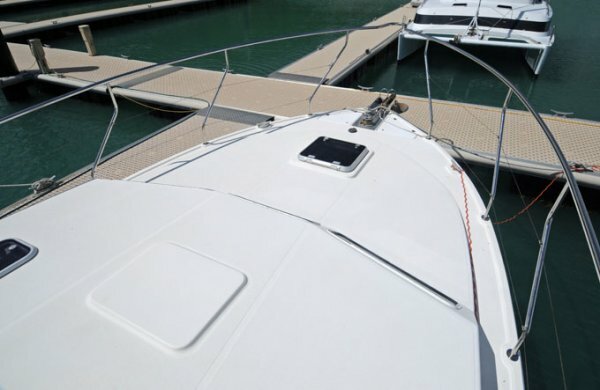 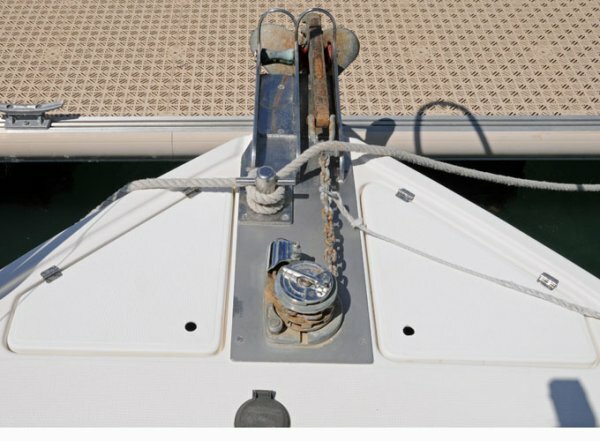 The vessel presents in good condition throughout, and the owners invite inspections. 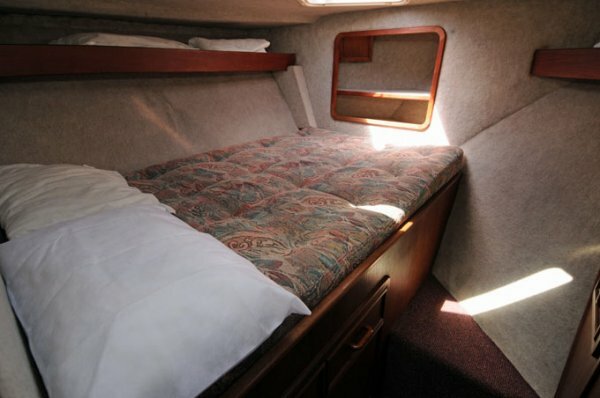 Three doubles including the drop down saloon, one single. 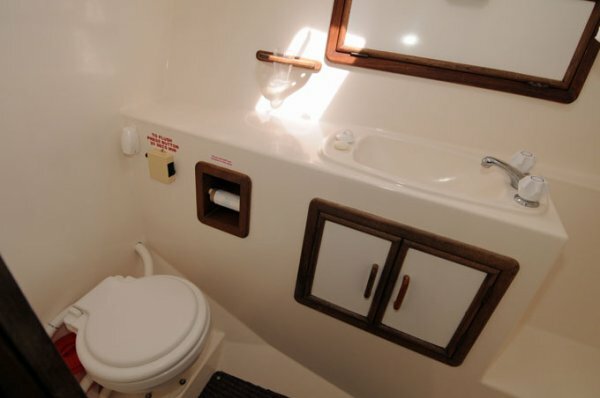 Two cabins.